The Amazon Echo Dot is a great entry-level Alexa gadget, but the Echo Show gives you every feature in one device. 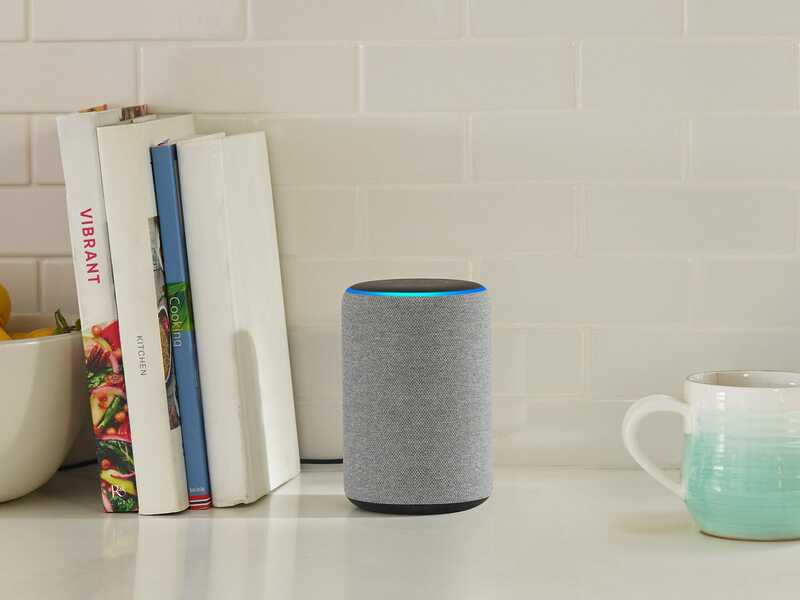 Recently, Amazon unveiled a series of new Echo devices, as well as updated versions of pre-existing models. No doubt many Amazon shoppers are excited by this news. With so many Alexa-enabled speaker choices around, it can be difficult to figure out which Echo is right for you, or even know where to start. Read on for our complete rundown of all the Amazon Alexa Echo devices. What Can Amazon Alexa Do? Amazon's Alexa digital assistant reportedly has over 50,000 skills. Thanks to third party developers, that list grows every day. She's perfect for home automation, as users can easily control compatible smart lights, thermostats, garage doors, sprinklers, and even TVs. But the assistant can also help manage day-to-day tasks — you can ask Alexa to give a rundown of your calendar, check weather and traffic, see how your favorite sports team is doing, and tweak to-do and shopping lists. You can also order a pizza or call an Uber with Alexa, all using just your voice. Alexa reportedly has over 50,000 skills, such as ordering pizza and controlling smart lights. The capabilities don't end there — Alexa can play music, make calls, handle alarms and timers, and answer questions. You can request songs, artists, or genres from Amazon Music, Spotify, and Pandora; multi-room music playback is available through many devices. Echo speakers can also be used for messaging, making announcements to other rooms, playing Audible audiobooks, listening to radio stations, and streaming news briefs. There's still more. Play a slew of games, including Jeopardy! or escape room titles. Ask for advice, such as how to craft a cocktail or remove a stain. Recently, Amazon opened up Alexa's capabilities to allow developers to charge for in-skill purchases. So far, these purchases typically show up in the form of premium media content or hints within a game. While not every Alexa skill is going to blow your mind, it's worth your time to really explore her capabilities. 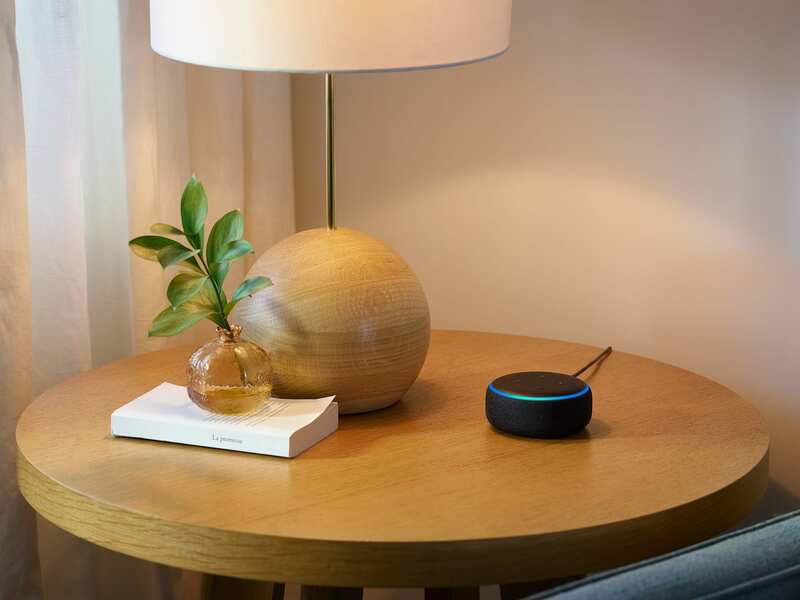 The third-generation Echo Dot is noted as having an improved speaker over the previous generation. Sound is supposed to be richer and louder, but some user reviews suggest otherwise. Recent reviews include complaints about a lot of static, muffled sound, and even issues with the microphone. However, the reviews for the latest Amazon Dot are pretty positive overall. SEE ALSO: Amazon Prime Music vs. Other Streaming Services: How Do They Compare? Not everyone finds the sound lacking. In fact, some users have praised the audio quality. Music lovers may appreciate being able to pair two Echo Dots for stereo sound. Alternatively, you can pair it with your own speakers. This is doable via Bluetooth or a 3.5mm audio cable. Amazon's second-generation Echo improves a lot over the previous model. New speakers provide better sound, and users can adjust treble, bass, and mid levels with voice commands. Additionally, the Amazon Echo is designed to hear you from any direction, even if music is playing. There are plenty of glowing reviews for the latest Amazon Echo. But, as with any product, complaints exist, too. Those largely seem to be based on the initial setup. Some reviews complain about the Alexa app, but overall there seem to be far more satisfied customers than not. The second-gen Amazon Echo Plus provides an easy way to start your smart home setup. With its built-in hub and temperature sensor, you have everything you need in one package to control compatible smart home devices. With its built-in Zigbee hub and temperature sensor, the Echo Plus lets you control compatible smart home devices. The premium speakers are powered by Dolby and play 360-degree audio, and they boast crisp vocals and dynamic bass response. You can also conveniently adjust bass, treble, and mid levels with just your voice. Further, the seven microphones, beamforming technology, and noise cancellation all work together to ensure the Echo Plus hears you from any direction, even if there's music playing. If "Zigbee" doesn't sound familiar to you, don't fret! It covers many products and brands you'll likely recognize, including Philips Hue, Samsung, Honeywell, and Belkin. This edition of the Echo Dot is perfect for little ones, thanks to its kid-friendliness. Alexa will still play music, answer questions, read stories, and tell jokes, but everything is geared toward younger ears. The FreeTime Unlimited subscription provides access to fun and educational content, ad-free radio stations and playlists, Audible books, and tons of premium kid skills. You can set daily time limits, review activities, and pause Alexa on the device through the parental controls. Plus, the Dot allows your kids to control lights, plugs, and switches with compatible connected devices. Furthermore, parents have the power to automatically filter explicit songs from Amazon Music or Spotify. 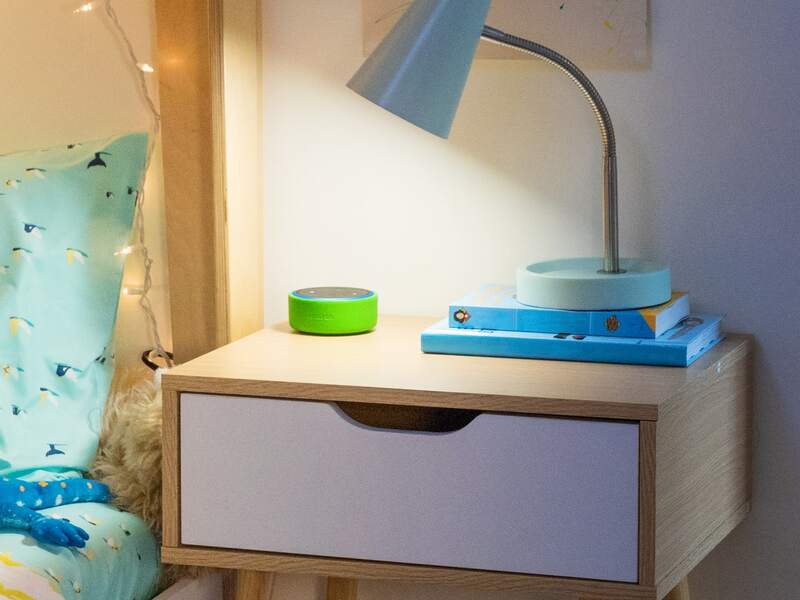 Parents can also use the Echo Dot to call kids to dinner or notify them of bedtime, as well as add approved friends and family for calling and messaging outside the house. The 2-year worry-free guarantee provides parents with peace of mind. If your kids break their Dot, Amazon will replace it without hassle. 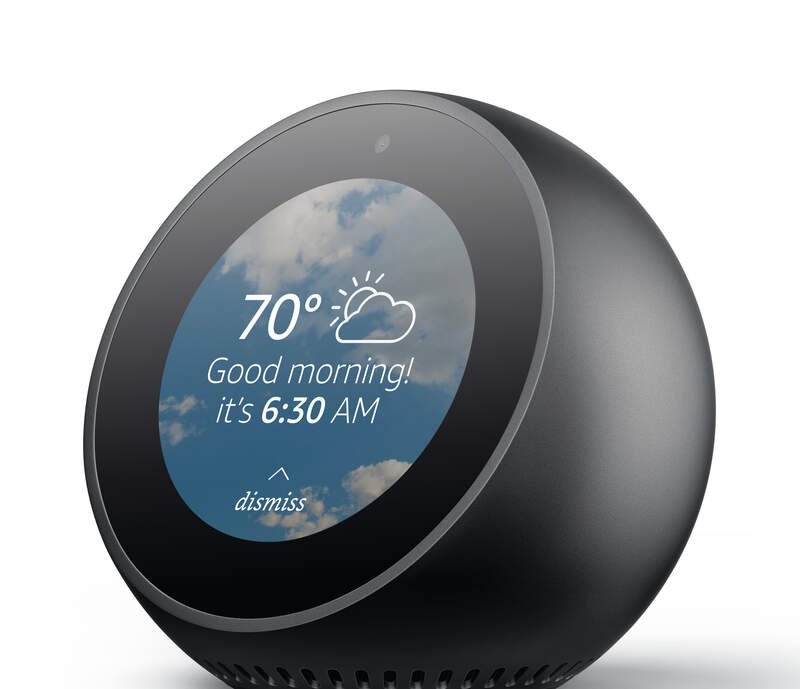 The Echo Spot can do everything the other Echos without screens can do, and a ton more. For example, you can watch video flash briefings, see music lyrics and weather forecasts, view to-do and shopping lists, and listen to Audible audiobooks. 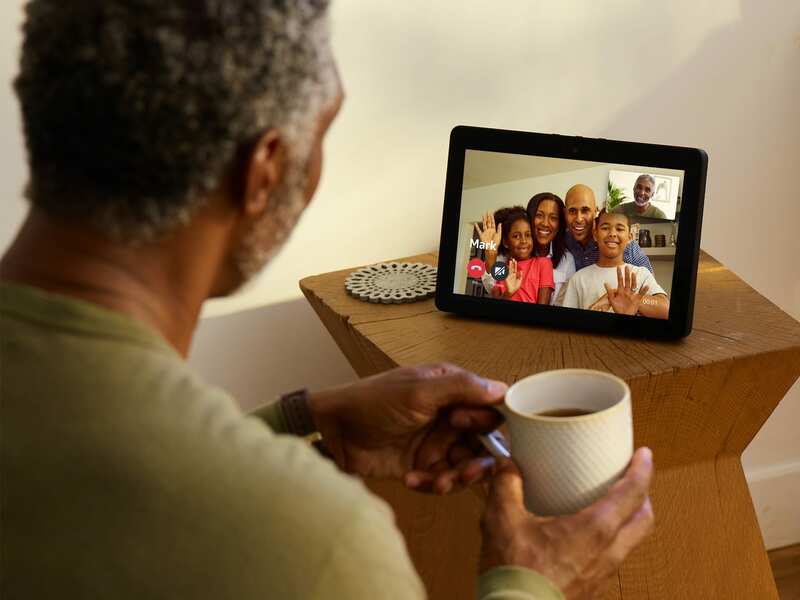 With the Echo Spot's built-in screen, you can take a look at baby monitors and front door cameras, or even make video calls. The second-gen Amazon Echo Show combines the best of all the Echo devices. The built-in Zigbee hub makes setting up a smart home with compatible devices a breeze. Easily install video doorbells and enjoy peace of mind, as you can see your front door camera stream with 2-way audio and notifications. The 10.1" HD screen allows you to watch videos, movies, and TV shows, as well as view lyrics and album art from Amazon Music. You can watch weather forecasts, check calendars and to-do lists, and see your favorite playlists, too. The Echo Show is ideal for anyone who wants all the Alexa features in one device. 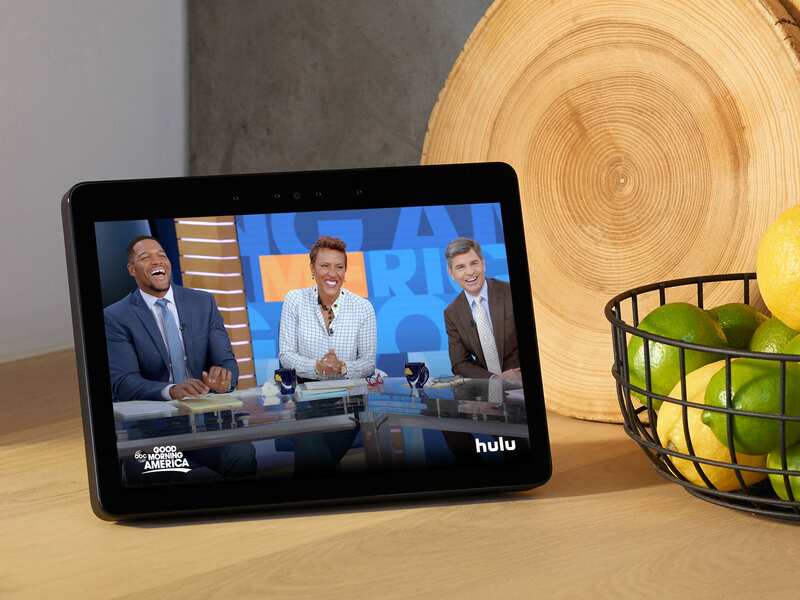 A Hulu subscription allows you to watch live TV and sports on the Amazon Echo Show, plus you can get movies and shows from Prime Video, and music videos from Vevo. Make video calls to anyone who has the Alexa app, an Echo Spot, or another Echo Show. (And Skype is reportedly coming soon.) The device is handy for watching recipe videos in the kitchen, setting timers and alarms, and adding items to your shopping list. The eight microphones and far-field technology ensure Alexa hears you even when music is playing. Amazon has other Alexa-capable devices, as well, including a slew of products it recently introduced. 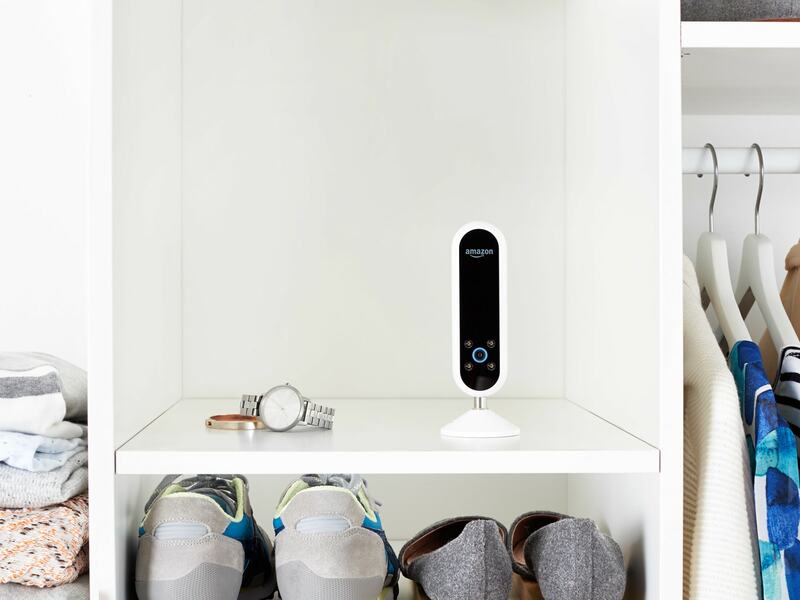 The Echo Look, for one, allows users to capture head-to-toe photos and 6-second videos of their outfits with the voice-activated camera. Utilize the Style Check function to compare outfits — finding out which one looks better and why. The Look also organizes your wardrobe automatically by weather, occasion, and season. One of the recently introduced items with Alexa capabilities is the AmazonBasics Microwave. It has quick-voice cook presets and a simplified keypad, so you can ask the digital assistant to begin cooking. Additionally, the Auto Popcorn Replenishment feature (enabled by Amazon Dash tech) can automatically reorder popcorn when you run low. Amazon's smart plug is another new addition to the Alexa-capable lineup. It's an easy way to add voice control to any outlet, allowing you to control devices while you're home, via a preset schedule, or even when you're away. It also has a compact design that keeps your second outlet free. It doesn't require a smart home hub. Should You Buy Refurbished Alexa Devices? If you want to spend a little less and don't mind previously owned tech, buying refurbished Amazon devices could be the best way to go. While the term "refurbished" can mean different things from different sellers, Amazon lays out the process in its refurbished storefront. According to Amazon, a customer returns a device, which is then tested, refurbished, and certified. The company claims the refurbished devices look and work like new, and come with the same limited warranty as new ones. What's different is that customers purchasing the refurbs do so at a discounted price. 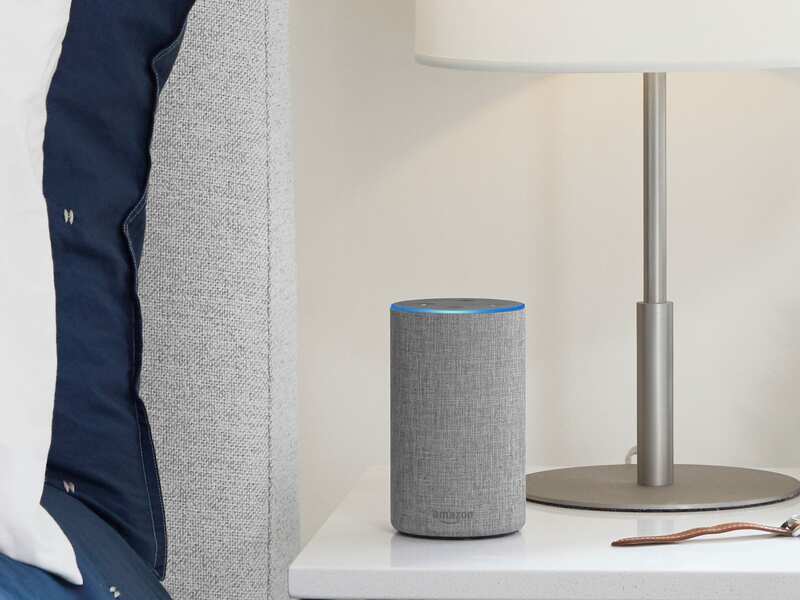 The refurb selection includes previous and current-gen models of Echo devices, Kindle eBook readers, Fire TV products and tablets, and home security items. Readers, which Amazon Alexa device is on your wish list? Let us know in the comments below! Had a second generation Alexa device, but got rid of it. I Just don't trust Amazon or Google not to track every thing my family does and sell off the information like we've seen them do in the past. My family can live without these devices, but to each their own. @Texian, Little appeal to our family as well. If I'm simply too lazy to get out of bed to turn the lights on or off then something is wrong! I can see a possible future appeal as homes become totally "smart" but until then I'll use my own energy to turn on/off the lights. The appeal to me, is convenience. When I'm sick, I don't want to get out of bed to turn things on or off. I can just say to Alexa what I want done. My switches are on timers for outside lights. I have my bedroom fan connected. Get too cool, tell Alexa to turn fan off. Get too warm, tell Alexa to turn fan on. Want to know something, just ask Alexa. I love 'em. Texian, judging by the number of sales of these Amazon items you my friend are in the minority. What is the attraction folks have to these? There is zero appeal for me.